→Is milk good for you? A white colored liquid that can give you energy can strengthen your bone; can give you a sound healthy body. Yeah friends, I am talking about milk.Milk is the first food for almost 90% of human being. We take mother’s milk from at the beginning of our life. We take that milk at least first 6 months. But after leaving that we take cow, buffaloes, Goat or other animal’s milk. Now a day, it’s really impossible to think a day without milk. Milk is being used almost everywhere. Many delicious foods make by milk. But many people have a doubt about its health benefits. They thought it is not good for health because it contains fat. But I am totally disagree with them because milk is not only gives fat, It also gives calcium, vitamins, minerals and energy. So you cannot leave the milk for fat because it can gives you some other essential nutrients which can make you more healthy .You have to remember that, there are many foods in the world which contains fat but you can’t escape them. Frequently I asked a question by my younger brother why he should drink milk? I think it’s not only his question but also question for many people. In this article we will discuss about the health benefits of milk and why should we drink milk everyday and what’s it health benefits. We will also find out the answer, is milk good for health? Calcium is one of the important mineral for our body. Our body needs calcium in many aspects. Main composition of our bones is calcium. Lack of calcium can causes weak of the bone and may produce pores on the bony surface. Calcium needs our body for many purpose like muscle contraction, nerve impulse transmission, Vasodilatation and contraction, hormonal secretion. It also acts as a second messenger. Daily requirements of calcium for an adult are 500mg.you know what, 1 cup of milk can fulfill almost 50% of your daily calcium requirements. 1 cup or 250 ml milk severs 240mg of calcium. Potassium is an essential mineral for us. It helps in regulating normal blood pressure. Lack of potassium can cause lower blood pressure. Milk also supplies potassium. Milk is a natural source of protein. Our body needs 1gm protein for per kg body weight. Protein is important for body building. It also repairs our body tissue. Maintain osmotic pressure and gives energy. Milk serves vitamin A, Vitamin-B12 and Vitamin D.
Vitamin A is an antioxidant. It helps to prevent formation of free radicals production. Free radical damages our tissue. Vitamin B12 helps in preventing pernicious anemia. Deficiency of vitamin B12 can causes demyelinating neurological lesion. Without Vitamin D there is no value of calcium. 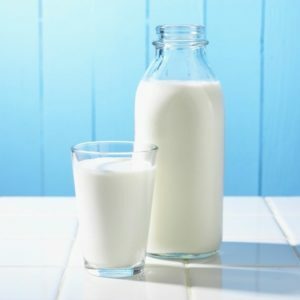 Because you make take calcium containing food but it will not be absorbed from gut without Vitamin D.
Milk gives phosphorus and Vitamin B2.vitamin-B2 deficiency causes cheliosis, glossitis and angular stomaitis. Phosphorus helps in bone formation. Many studies show a positive result that milk helps in lowering your body weight. It contains very low amount of fat. Milk can decrease the risk of diabetic especially type 2 diabetic mellitus. So middle age people should drink milk daily. Milk is also useful for preventing the chance of heart disease. Milk is a rich source of calcium. Calcium is the primary blood clotting factor. Milk serves that calcium and helps in blood clotting. Milk can prevent the chance of osteoporosis. Gives energy, prevent the chance of many disease like heart, kidney disease. Help in bone mineralization. Milk also gives Vitamins and many essential mineral. Now you know the health benefits of milk. Now I have a question for you. So tell me, is it good for health to avoid milk? I know you answer will be, we should take milk daily to maintain normal body functions.